Since transitioning from food and music publicity to a full-time book publicist, I’ve realized that the average book launch campaign doesn’t involve sold-out book signings and elaborate marketing initiatives. When I’m asked what it’s like to be a book publicist my answer is a short question: why isn’t there enough time in a day?! 7 am: I wake up and check my email as I’m waiting for my strong double shot espresso to pour. I am checking to see if I received any further responses from a pitch I sent out yesterday. Email life/balance is something I’m working on; but, in this industry, when the lead comes in, you have to run with it or else you might miss it OR if a request from a journalist comes in, to answer them asap! 8:30 am: I get into the office and immediately toggle between email, Twitter, paging through the NY Times and what’s on our TV in the office. I need to see what is trending and what’s happening in the news. The media wants to hear from experts who can offer commentary for the latest news cycle, so it’s imperative I stay on top of trends. However, I am also thinking about things 3 to 6 months from now. Magazines plan their editorial schedules very far out. 9 am: I am checking in and following up with pending media opportunities, trying to get feedback from journalists and bloggers who’ve requested books and commentary from me but haven’t provided any coverage plans yet. 10 am: Now I’m working on a blog tour for a fiction campaign. Here is where I flirt with book bloggers by offering them books they’d enjoy in return for a scheduled review or feature post on their blog or social media. These people make the book community go round. 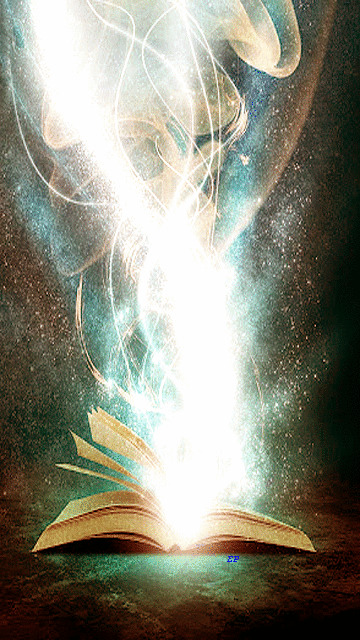 They are essentially book angels. 11 am: This is when I start to check in and pitch national morning TV producers. Morning shows have wrapped so it’s a good time to catch a Today Show or GMA producer at their desk before they get bogged down with other pitches and pulled into production meetings. I like to pitch them either late morning or around 3:30pm. 12 pm: Lunch time! I try to get some reading and research done while noshing at my desk. This is a great time to take a mini-break from my inbox and dig around for current angles and tie-ins for pitches I’ll be drafting later in the day. I might even take time to listen to a news podcast. 1 pm: Now comes the time when I ensure my authors have all the interview details they need for the week. It’s also a great time for an author check-in call! I typically work with 5 to 10 authors at a time, and I usually have a 15-minute call with each one every week. This is so we can go over pending interviews, op-ed and byline opportunities, and brainstorm pitching angles. By far, the most successful campaigns are the ones where the author and I work closely together. It takes two to tango on a publicity campaign and the more I know about the authors, the more juice I have to pitch to the media. 2 pm: I am writing a new pitch now. Fresh from a productive author catch up call, I have new ideas and angles to go with for the rest of the week. I start by doing a quick Google search on the topic and drafting a pitch that would be enticing, newsworthy and current. 3 pm: Research, research, research. The media landscape is constantly changing, so my job is to learn who is covering what. And there are always new ways to discover influencers. Lately, we’ve been looking to Twitter and Instagram to find new tastemakers. Journalists on Twitter have been known to Tweet requests for interviews and sources and also leave emails in their bios. And Instagram is an awesome place for book lovers. It’s the perfect place to look to when I’m working on photo-worthy fiction titles. 4 pm: The rest of the day could be filled with a myriad of things: Uploading a book to NetGalley, writing talking points for an author’s radio interview, researching statistics that will emphasis a point in my pitch, or simply calming an author who has received a less-than-perfect review. Essentially, my job is to empathize with authors and promote literacy. I sometimes see myself as a book therapist, someone who is there to be a cheerleader for my author, to really “get” where he’s coming from, and to understand why he wrote a book and for whom – and to get that book in front of the right people. I get to work with so many talented authors behind the scenes—from NYT bestsellers to self-published authors—all of whom are passionate, bright, and working toward sustaining this magical world of literature. If you would like more information about our book publicity services, book publicists or free book publicity information please click on the desired links.